The One Size Fitted Diaper (8-35 lbs) was our very FIRST cloth diaper we set to manufacture - creating the first and most popular diaper that adjusts to grow with your child until potty training age! The generous design allows plenty of room for growth while using a gentle elastics around the waist and legs to ensure a comfortable leak-free fit. Time tested, and with only one size needed the One Size Fitted offers you the very best value. 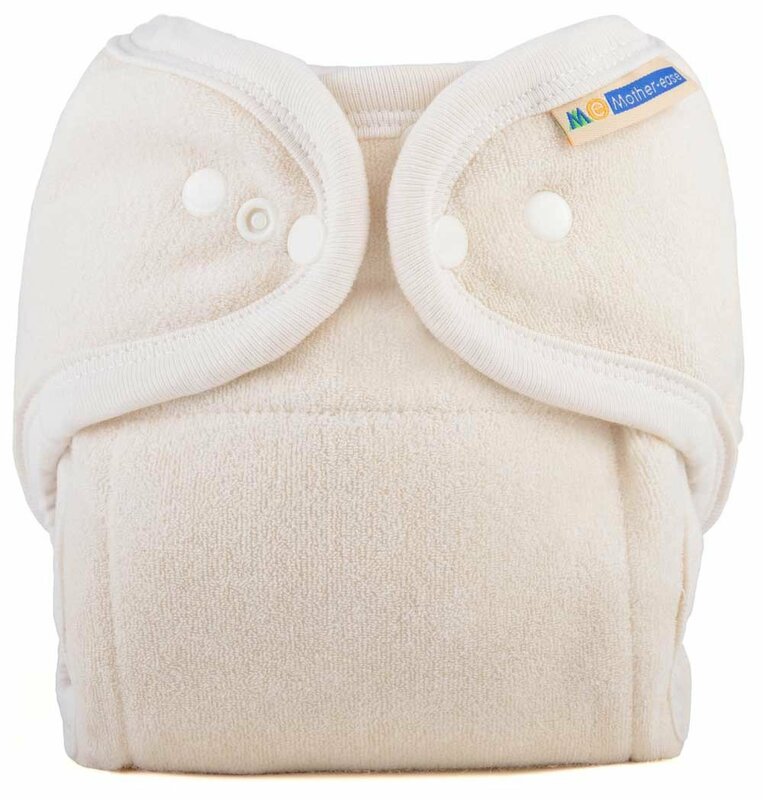 Compared to the Mother-ease Sandy's fitted diaper, this one feels like it is much better quality and washes far better. I also prefer diapers that snap in the front (as opposed to the sides), but that's just a preference.